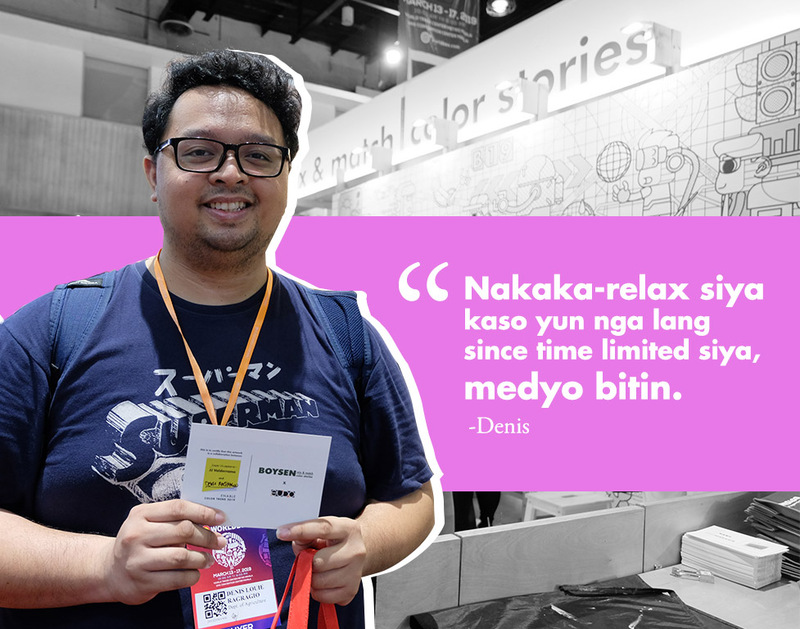 Boysen once again pushed their limits and exceeded expectations as they introduced to the Worldbex community their newest booth, Color Stories, on March 13-17, 2019 at the World Trade Center, Pasay City. 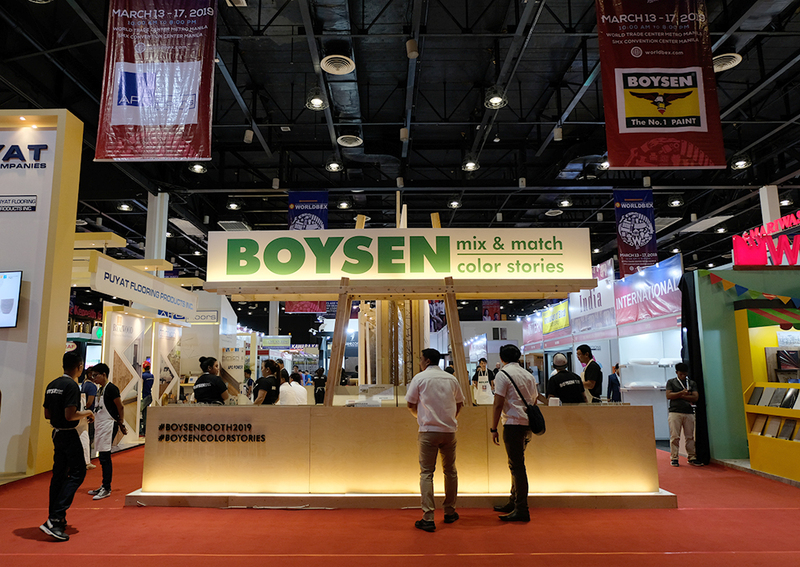 Bringing home the best booth award from the Interior & Design Manila 2019, Boysen Color Stories brought the fun and colors to a wider audience. 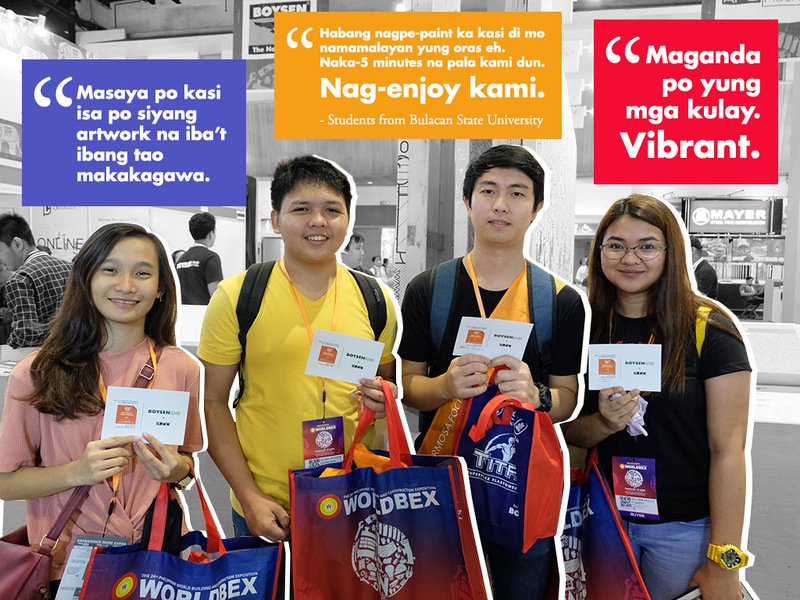 Professionals, students, families, and casual goers enjoyed the 5-day exposition that showcased some of the industry’s biggest building and construction businesses in one place – for free. 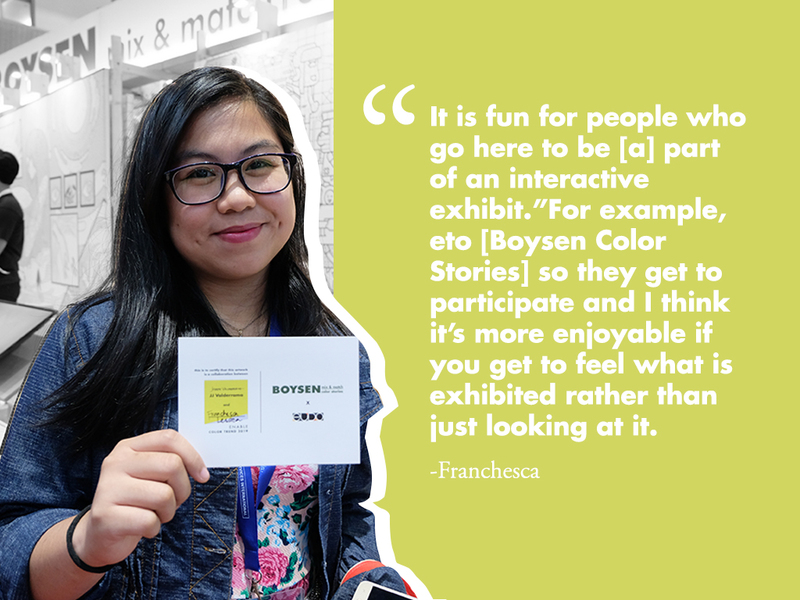 Boysen is one of the headliners, and it sure is a hit. 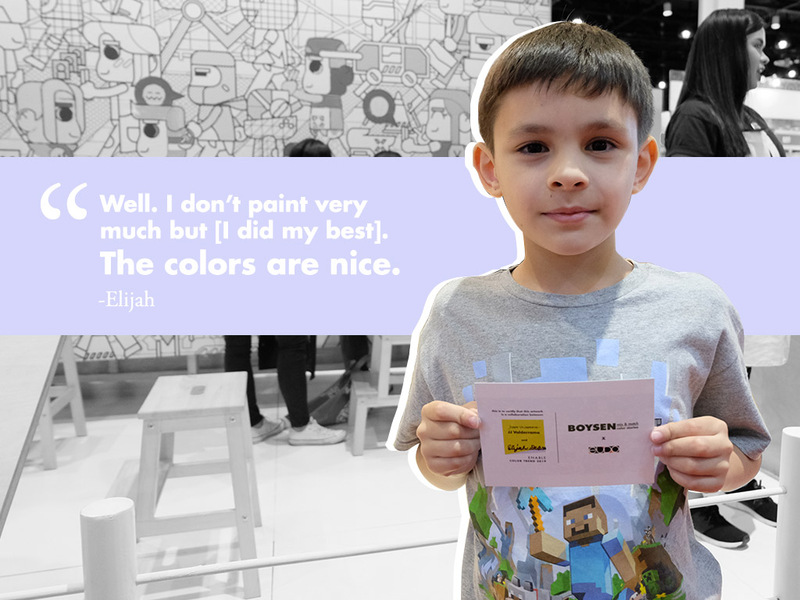 Since day 1, the booth never ran out of visitors who wanted to be a part of at least one of the four 4.6-meter-tall masterpieces. 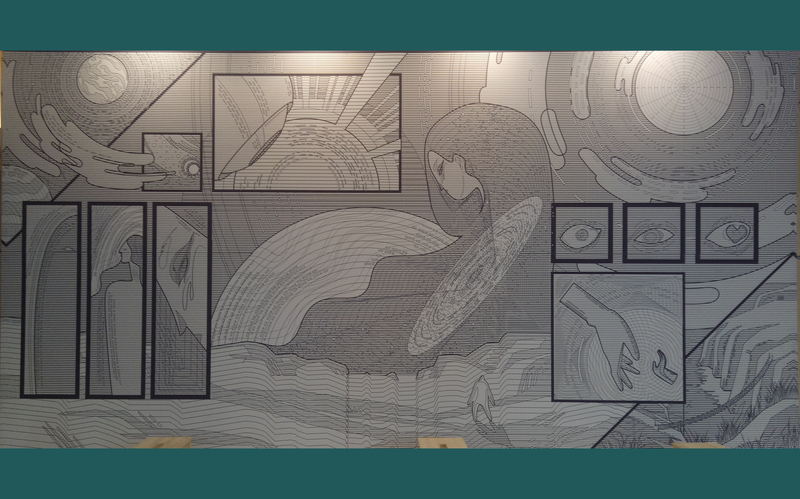 Due to the great number of people lining up to paint, the team even had to replace the canvases with new ones, two days into the expo. I get them. At one point in our lives, we all enjoyed coloring superheroes and beautiful princesses while comfortably lying down on the bed or the floor. 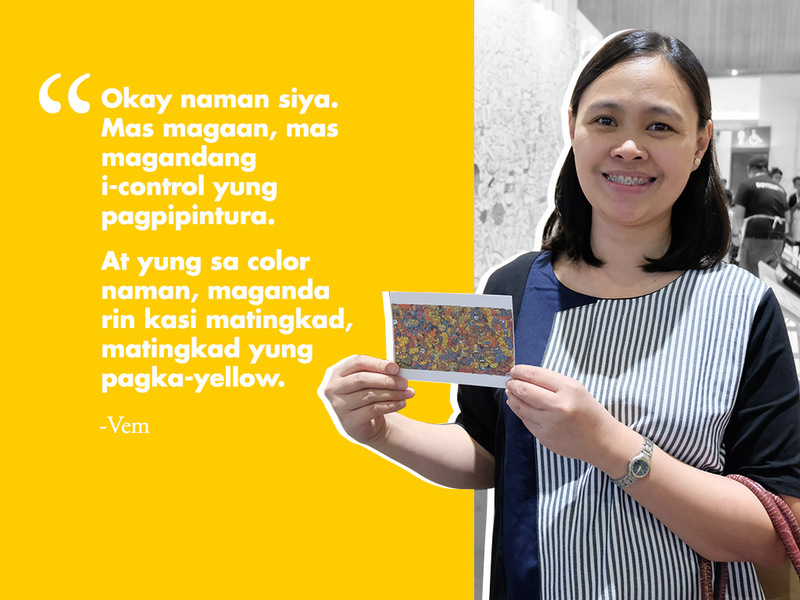 And Boysen Color Stories is like our childhood incarnate. 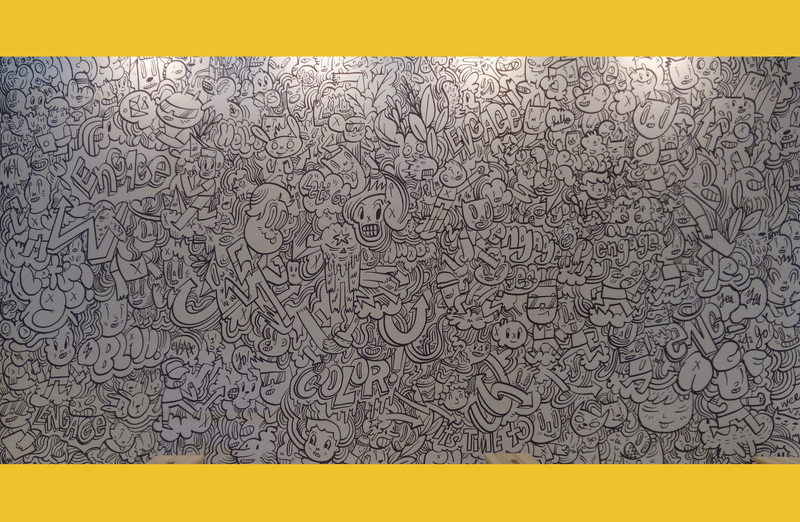 Who wouldn’t want to miss out on painting a giant coloring book? Definitely not me. 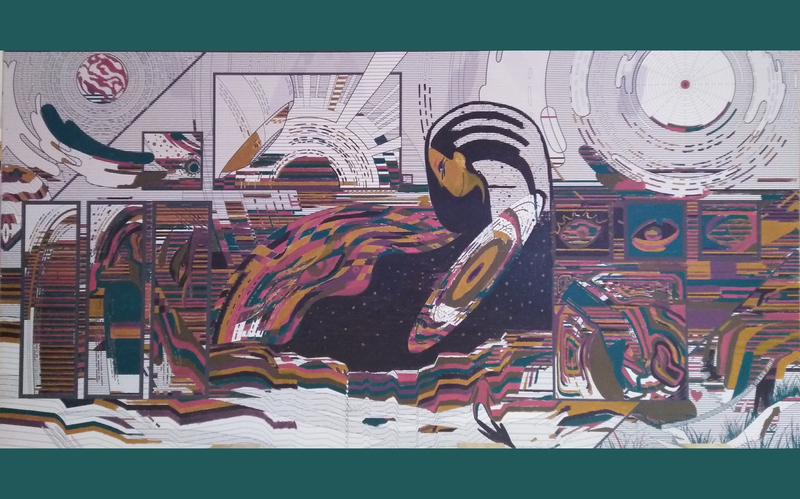 There were four artworks featured in the Color Stories made by four talented Filipino artists, each with their own unique story to tell. 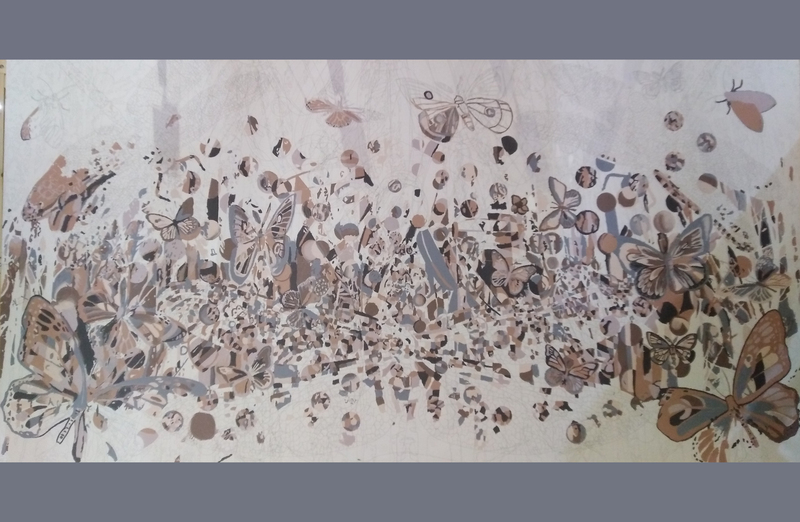 The palettes Enable, Engage, Enlighten, and Enchant from the Color Trend 2019 were used to give life to the paintings. 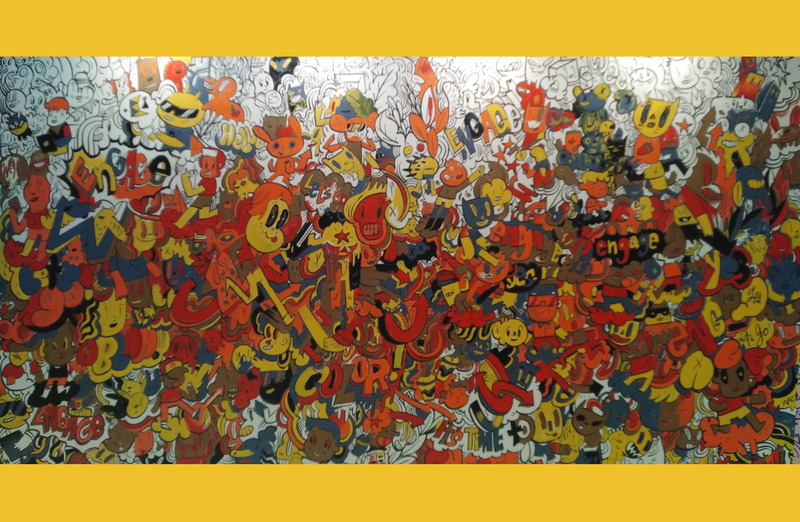 Those were the same palettes that the visitors used to paint their own interpretation of the artwork. Yup, there were no right or wrong colors to use, no right or wrong brush strokes. Once they were inside the booth, they wore the apron and then painted their heart out. 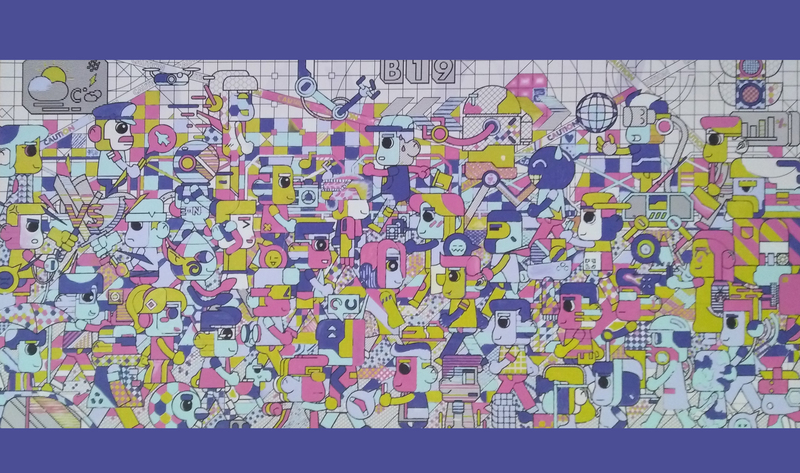 Once they stepped out of the booth, they saw how the collective effort of everyone who took part of their chosen artwork looked like. Literally. 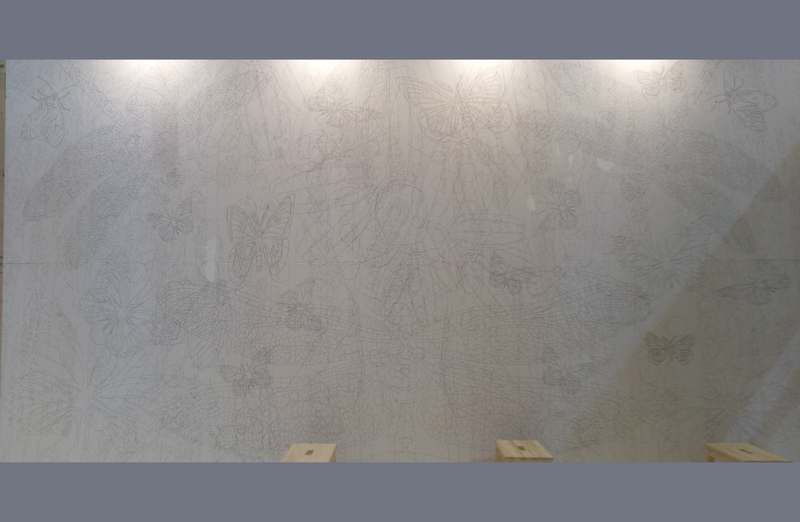 Each visitor was given five minutes to paint on the canvas. I heard people complaining about the limited time but Boysen wanted to accommodate everyone. Some of them lined up again to continue painting their story if they weren’t satisfied. 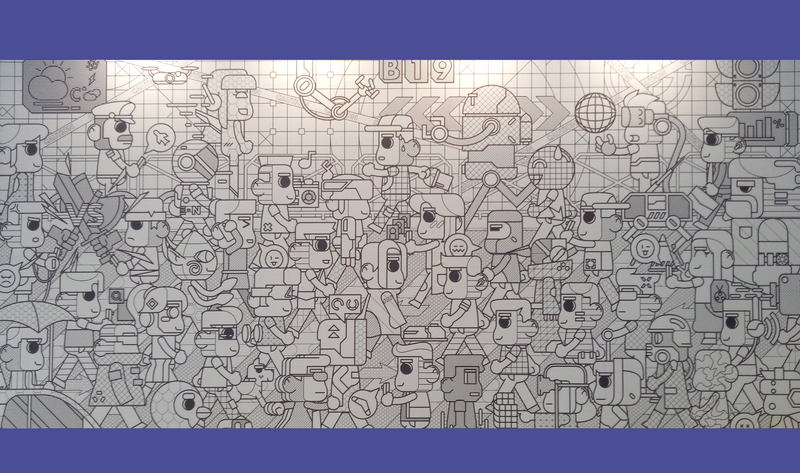 They either lined up one more time and wait for their turn, or painted the other artworks. Visitors never ran out of something to paint since Boysen prepared four giant canvasses, which were replaced with fresh ones once they were filled. Color Stories in IDM & Worldbex are just two of the many stops in store for you all throughout the year! Let your inner child take over every once in a while. See you (again) on the next one! 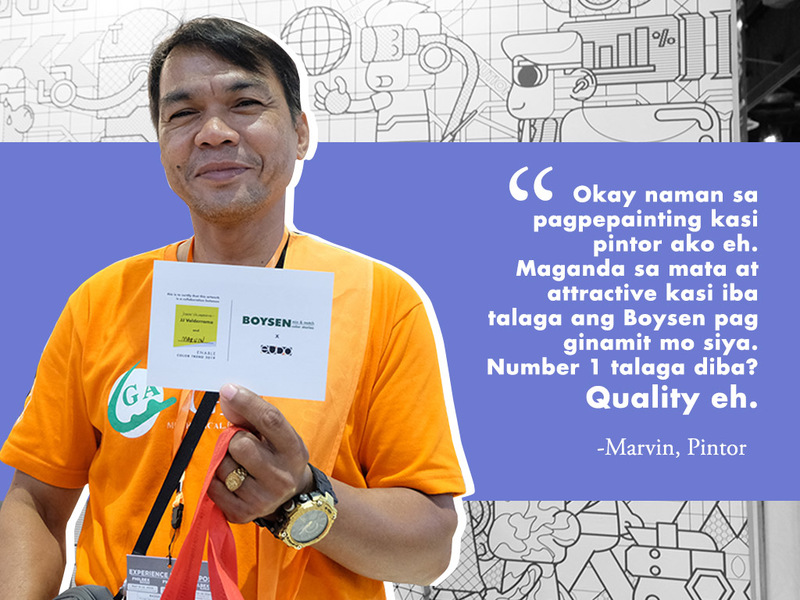 Like and follow Boysen Paints Philippines on Facebook to stay in the loop. Jess is a 20-year-old optimist who loves writing about extreme sadness. She listens to anything Spotify recommends (60% K-Pop, 40% Air Supply). A total hopeless romantic, she firmly believes that chivalry isn't dead.